I was sad to see Mr. A in the emergency department again. I thought back to his two prior admissions in the hospital, both for congestive heart failure exacerbations and had occurred within the last few months. His treatment had been without complication, but his discharges were difficult. Mr. A was undocumented and lacked health insurance. The subspecialty providers’ offices I called would not schedule him for a follow-up appointment. Visiting nursing services, which could have helped him better manage his disease at home, were not an option. Left with no other choice, I had discharged him both times with only an appointment at a nearby free clinic. I later found out that he did not attend his appointments or even fill his medications because he had feared encountering Immigration and Customs Enforcement (ICE) agents at these medical facilities. I had been taught in medical school to treat all of my patients equally, regardless of immigration or insurance status. But it was clear that my inability to provide Mr. A with proper longitudinal care was directly related to the fact that his access to that care was not equal to others. I was wracked with guilt, as if this inequality was somehow my fault. So when I admitted him for a third time with heart failure, I was devastated. No longer believing that I had any control over the course of his disease, I felt helpless. I was frustrated that his care had been wrongly compromised by external, nonmedical factors and became fatalistic. Was it even worth trying to set up some sort of reasonable discharge plan when my last two time-intensive efforts had failed? Or was it better to just accept that he would be back no matter what I did? As it turns out, I am not alone in my frustrations. A recent Annals article (1) described 50 clinicians working in health systems in Denver, Colorado, and Houston, Texas, where undocumented patients with end-stage kidney disease are ineligible to receive standard outpatient dialysis. Access to hemodialysis is restricted to emergency situations in which the lives of patients are judged to be at risk by preset criteria. The authors found that this practice contributed to provider burnout as clinicians witnessed unnecessary suffering and felt they lacked control of medical decisions, propagated moral distress as clinicians felt forced to change how they delivered care based on nonmedical factors, and inspired physicians to advocate for changes to a flawed system. Although the article focused on emergency-only hemodialysis, I suspect the findings would extend to other clinical situations as well. 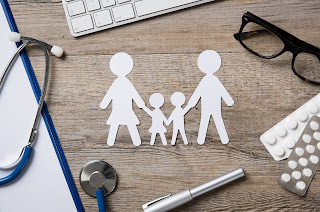 For me, feeling helpless to alleviate my patients’ suffering purely because of their documentation status has been a profoundly distressing experience. My role has shifted from a healer to a manager of symptoms, and I have questioned my utility as a clinician. This helplessness has made me feel burnt out just like the physicians in the article. If there is a silver lining to these experiences, it is that I have become devoted to ensuring that every patient in the United States one day has access to quality health insurance. Not only is this morally justified, but data from prior Medicaid expansions (2) suggest that expanding access would improve medication compliance and self-reported health and would reduce emergency department utilization. Although the prospects for reform in the near term are not bright, I believe that the United States will one day do better, and that belief in and dedication to effecting change helps combat the hopelessness that would otherwise burn me out. Physicians should have a bigger say in the policies that affect our work. Having our voices heard would help combat burnout, because physicians would less likely report feeling burned out if they feel engaged in personally meaningful work (3). As awareness of the adverse effects of physician burnout grows, medical schools and residency programs would be wise to invest more time and resources into equipping their trainees with the tools they need to be effective advocates for change. Undocumented patients deserve better health care in the United States. And we, as physicians, deserve to practice effective medicine for all our patients without worrying that because of nonclinical barriers, the best that we can provide is never enough. Kunal is a radiation oncology resident. 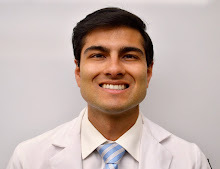 He completed his internship in internal medicine at Beth Israel Hospital in New York and is a graduate of the Warren Alpert School of Medicine at Brown University. Prior to medical school, he worked as a middle school science teacher in Newark, New Jersey, and as a management consultant in New York. Every newspaper in the country should publish this commentary. We as a society need to decide how human we as a society are and should be.